Many thanks to all the lovely food bloggers who joined me and Sue (A Little Bit of Heaven on a Plate) for September Dish of the Month. 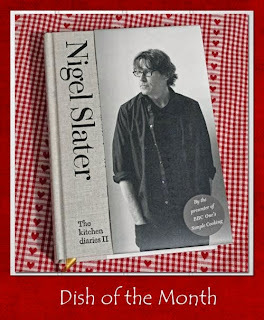 The blog event where we cook the recipes of Nigel Slater. 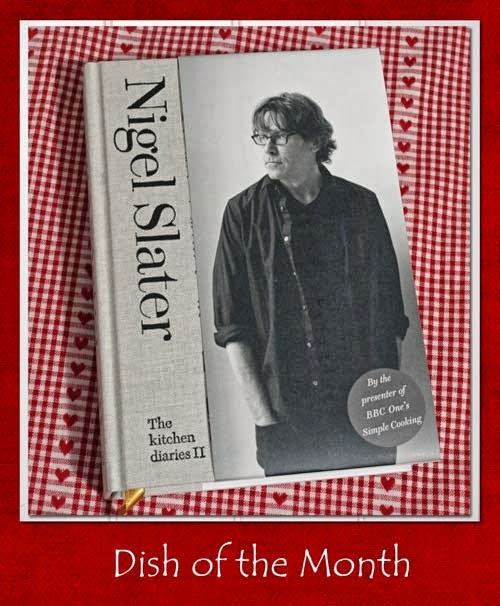 Sue and I are cooking our way through the Kitchen Diaries II but any recipe by Nigel can be entered for this easy-going challenge. Nigel Slater's Autumn Chutney is the entry from Dish of the Month co-host Sue from A Little Bit of Heaven on a Plate. This chutney is packed with green beans, onions, tomatoes and spices, it looks so good, I can almost taste it! 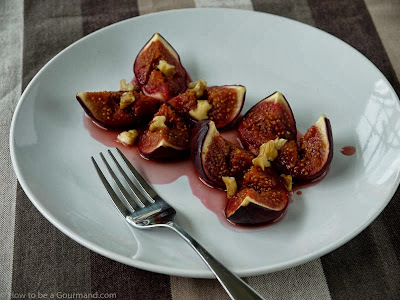 Baked Figs with Marsala and Honey is the simple dish brought to us by Jacqueline at How to be a Gourmet. The simplicity is typical of Nigel Slater and Jacqueline describes the dish as 'naughty but nice'! 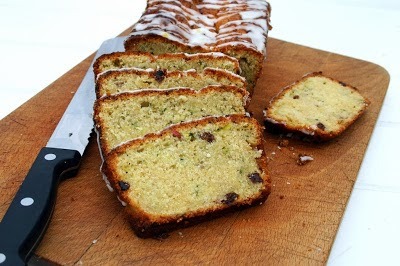 Courgette and Apple Cake provides two of your five a day in cake form, how much better can you get? Well, this one is also organic, so I don't think you can get any better! Many thanks to Dom from Belleau Kitchen for bringing this healthy cake to Dish of the Month. 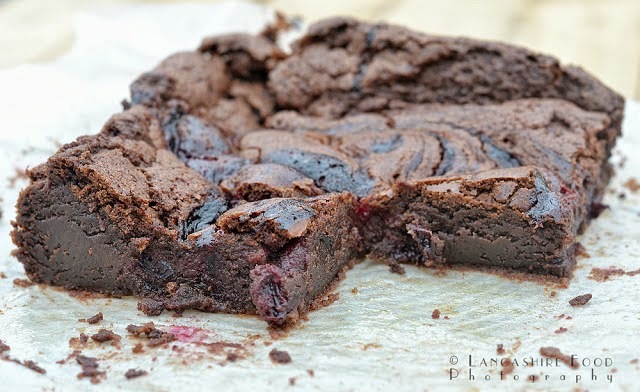 Chocolate Damson Cake, another superb seasonal cake, this time from Linzi at Lancashire Food. I love how it looks like a fruity, fudgy brownie! 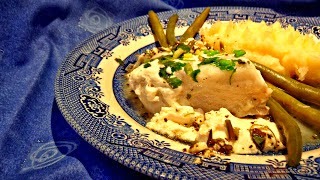 Cod in Soured Cream Sauce is a fascinating dish which Galina from Chez Maximka created using Nigel Slater's Lemon Tarragon Cod recipe and her own memories of a similar dish that her Mum makes. Lamb 'Osso Buco' with parsley papardelle was the recipe I started out to make, however the eagle-eyed among you will realise that that is not quite what ended up on the plate! 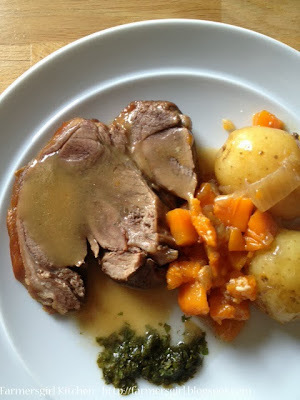 You will have to read my blog post to find out how this morphed into a pot roast. 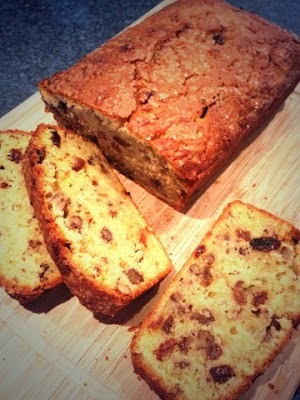 Courgette Cake was a popular choice as Claire at Foodie Quine also chose to make this moist and tasty 'five a day' in a cake. Apologies to Claire for leaving her cake off the original post, I must have been seeing double! I hope you will join us for Dish of the Month in October, the Linky will be posted on 2nd October. an AMAZING round up of Nigel goodies... fab challenge, cant wait till the next one!